When it’s time to buy or replace an asset, it’s easy to focus purely on the initial purchase price. But digging deeper could save your organization a lot of time and money in the long run. The key is to calculate both the direct and indirect costs, which is called Total Cost of Ownership (TCO). 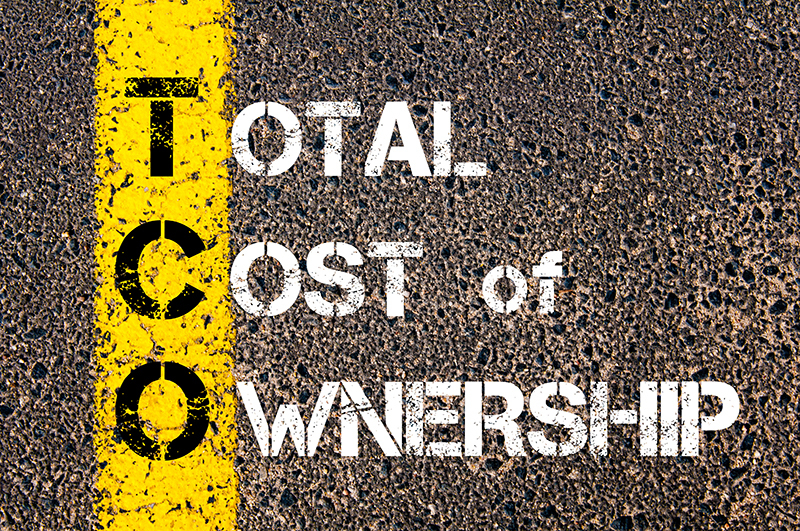 TCO is the full cost of an asset over its life cycle or “cradle to grave”—a number that might look very different from the initial purchase amount. TCO is a simple equation. Initial Cost: The amount of the initial purchase. Operating Expenses: Cost of installation, testing, and training, plus energy usage and insurance (if applicable). Maintenance Costs: Cost of repairs and maintenance, including both PMs and unexpected repairs. Downtime Costs: Labor costs of delayed work, lost production, lost revenue, etc. Production Costs: Output levels or production levels as well as environmental costs. Resale Value: The amount that could be recouped by selling the equipment after a certain timeframe. Kai needed to buy his maintenance shop a new generator. He looked at three—and the price of one was about 20% higher than the others. It should be an easy decision, right? Pick the least expensive one. But Kai knew he had to dig deeper by looking closer at the TCO for each one. While the TCO equation seems easy, getting that information isn’t always simple. Kai had a good start within his MPulse Maintenance Software. First he found the existing data for his current compressor. Then he could compare that information against the new compressors and estimate the operating expenses, projected downtime costs, and production costs by pulling some key reports. The maintenance costs and resale value took a little more research. After comparing the manufacturer’s recommendations, he discovered the more expensive generator required less maintenance. Additionally, its resale value was significantly higher—making its TCO lower than the others. Kai knows it would be hard to calculate the TCO without his CMMS software. His numbers would be based more on assumptions than hard data. It’s likely your purchasing or accounting department is familiar with TCO, so tap into that resource if it’s available to you. Have you found a surprising result from your TCO calculations? Share your story in the comments.